C.A. Confidential: I Love Soca - Oldskool Meets Newskool @ Twilight Lounge, Scarborough, ON - Sun July 1st! 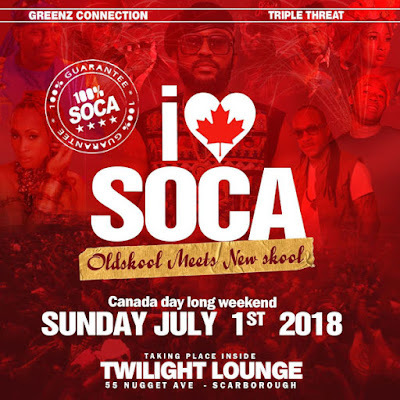 I Love Soca - Oldskool Meets Newskool @ Twilight Lounge, Scarborough, ON - Sun July 1st!